This is the 40" Black Wooden Practice Sword with Scabbard. The blade of the sword is made of wood. Designed to look attractive yet be completely safe to use and carry, this is the ultimate cosplayer's accessory for any type of Samurai or anime-based costume. Featuring accurate coloring and durable wood construction, this will pair well for any event costume. This wooden sword is for costume prop use only. The blade of the sword is made of wood and is painted to give a steel look. 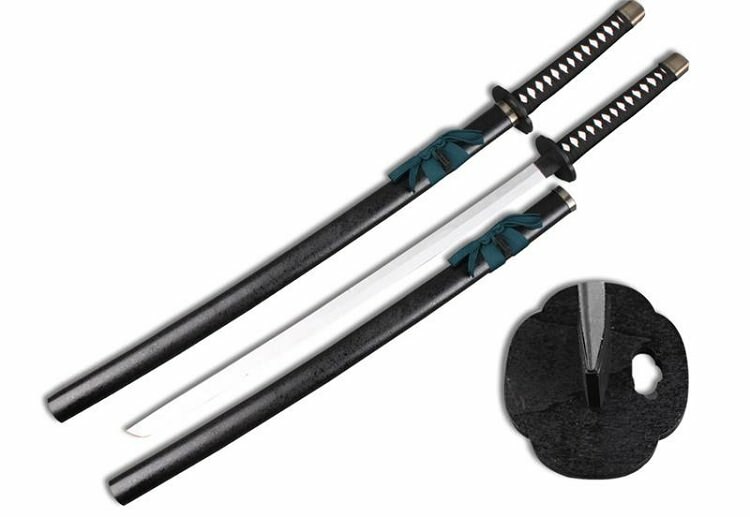 The handle of the sword matches the scabbard nicely and features a black nylon wrapped cloth.